If you thought McFarlane was done with Naruto, you should not BELIEVE IT!! (you see what I did there?) I'm slightly out of the loop with the action figure releases from this show, but i'm positive Sakura already hit shelves and Naruto followed close behind....maybe. 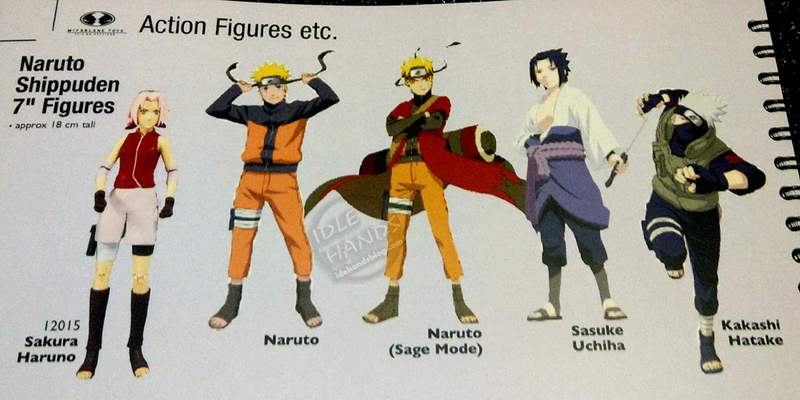 Upcoming figures include Sage Mode Naruto, Sasuke Uchiha and Kakashi Hatake. Hold onto your butts. Next up for McFarlane's Anime action figure releases is MY HERO ACADEMIA!!!! 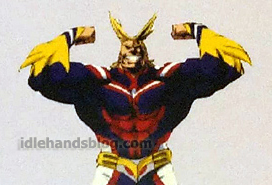 The lineup includes Izuku Midoriyak, Katsuki Bakugo, All Might and Tomura Shigaraki. All characters appear in their fully suited-up and ready for battle looks. It may be a blessing in disguise that McFarlane took this long to move forward with their Anime action figures. Since first announcing the lines, they've gone from a more statue-like figure with very limited articulation to a fully posable action figure. Personally, I prefer the latter, so I say take your time and get it perfect!